Most people are familiar with the personal credit report, but many business owners don't realize that their company also has a credit report. A company's credit report can impact the financial relationship between a business and its customers, suppliers and lenders. While understanding the report can be complex, its information gives a clear way to evaluate risk. Credit reports for both businesses and individuals identify late payments, outstanding liens, the amount of credit being used, and past collections or bankruptcies. They both should be monitored at least annually, and each tends to contain inaccuracies. The contrast between the two, however, can be confusing. What's My Business Credit Score? Who Offers Secured Small Business Credit Cards? 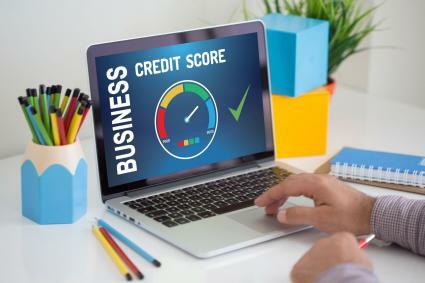 While the process for determining a personal credit score is standard between the major credit reporting agencies, the organizations that produce business credit scores all use different metrics. The methods are proprietary and are used to reveal an array of outcomes depending on the type of report requested. In consumer credit reports, scores are generally consistent between the reporting agencies. However, what constitutes a good business credit score depends on the particular rating agency's process. Both D&B PAYDEX and Experian rate businesses from 0-100; Experian rates 75 as a good score whereas 80 is good according to D&B PAYDEX. FICO's Small Business Scoring Service (SBSS) ranges from zero to 300 and includes the owner's personal score; a business must have a SBSS score of at least 140 to be considered for a Small Business Association loan. Equifax provides two different scores - credit risk (to determine if a company will repay its debts) and business failure risk (measuring the likelihood of a bankruptcy filing). These scores range from 101 to 1800. A business' credit file can be pulled by anyone without first getting the company's permission, yet individuals must first give the OK to have a credit check performed. In addition, a personal credit score is created when a social security number is granted; but a business' credit report isn't automatically initiated, and may be generated from any public record (including a mere name or street address). Individuals can obtain a free credit report from a number of resources. Not so for a business; prices range from $50 to several hundred dollars, depending on requirements. This metric is helpful in determining the risk of a company not paying back a loan. A business will want to check this if it is considering extending credit to a customer. The rating is based on several credit-related factors, such as past payment history and legal actions. How a company manages its bills may determine how it's perceived by creditors and suppliers. Companies that make timely payments can be viewed as a better credit risk. While this portion seems straightforward, basic information such as a company's name, address, and phone number should be consistent with the business' records. Other data that may be included - and should be confirmed - is the specific industry (by SIC or NAICS code), sales, number of employees, incorporation type, and officers. Inconsistencies in key company details could point to identity theft or an attempt to conceal information. Any outstanding legal actions, bankruptcy filings, liens and court judgments should be examined. These issues can identify suppliers or customers that may be unreliable, vulnerable, or unreasonably litigious. When a company has a consistent history of having its bills sent out to collection agencies, it could signal cash flow problems and credit risk. In general, the longer a company has been in business, the better it is at managing its money. While a younger company may be a good credit risk, more research should be done to evaluate its financial strength. A company's Uniform Commercial Code (UCC) filings outline the liens and leases it has in place. The number and scope of items can show how a company uses credit and possibly reveal if it is overextended. 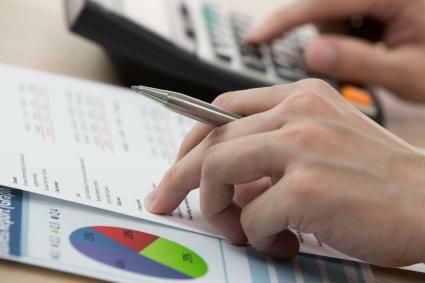 One in four business credit reports contains errors. Correct them with the reporting agencies and the originator of the false information. Businesses don't have social security numbers. Registered corporations must apply to the Internal Revenue Service for a unique - and free - employer identification number (EIN) and use it in all transactions. In addition, all businesses should apply for a free DUNS number, which is a unique nine-digit identifier recognized by the government and financial institutions. These will act like a social security number in building a credit score. Use your EIN or DUNS number to apply for a credit card to be used exclusively by the business. Use it consistently and pay it in full each month. Ask for cooperation from all suppliers and any lending institutions holding outstanding debt, requesting that they report payments to credit agencies. These institutions typically disclose only late remittances, while timely payments go unnoticed. While banks and large corporations place great credence on a business' credit report, many smaller suppliers may only want to see data like payment and legal history. In any case, it's best to know your score and establish good business credit before it's needed. In addition, make sure your personal credit history remains solid. The business will be well-positioned to get financing or favorable credit terms with these measures in place.